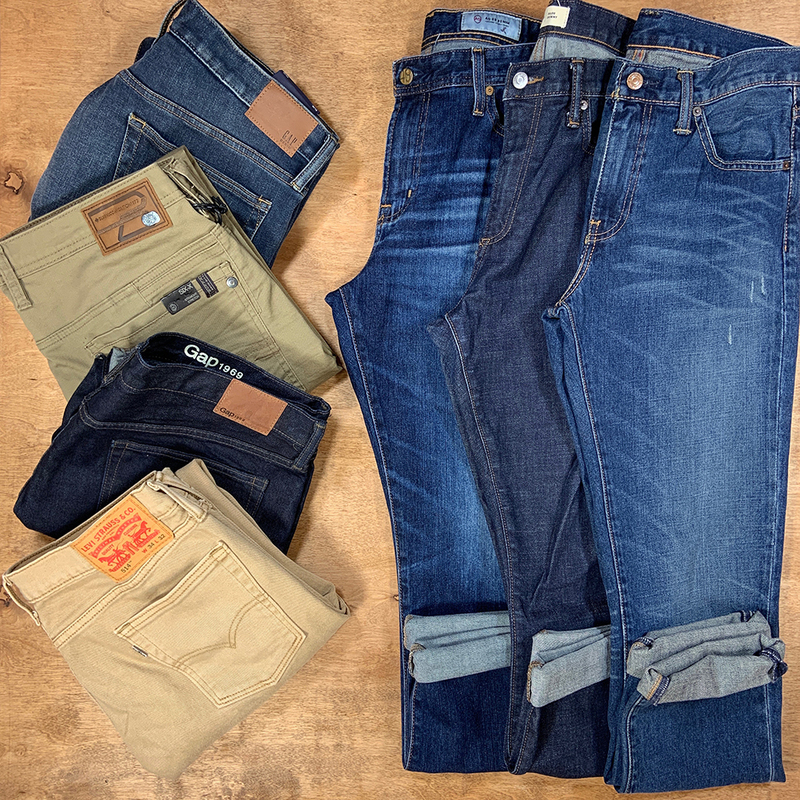 Wish you were near a Buffalo Exchange? Try Sell By Mail! You can now sell your closet clean out for cash from your own home. 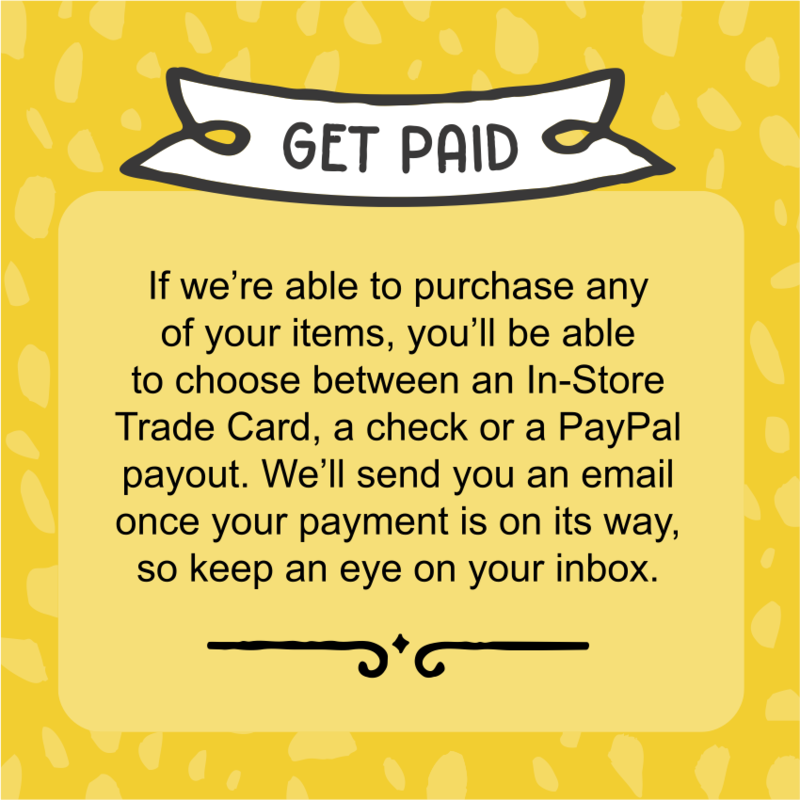 Plus, with our new PayPal payouts, you can get paid quicker than ever! Once we receive your bag, it will take 3-4 weeks from start to finish. For any items we’re able to buy, we’ll assign them a price and then pay out 25% of that in cash (check or PayPal) or 50% in an In-Store Trade Card. 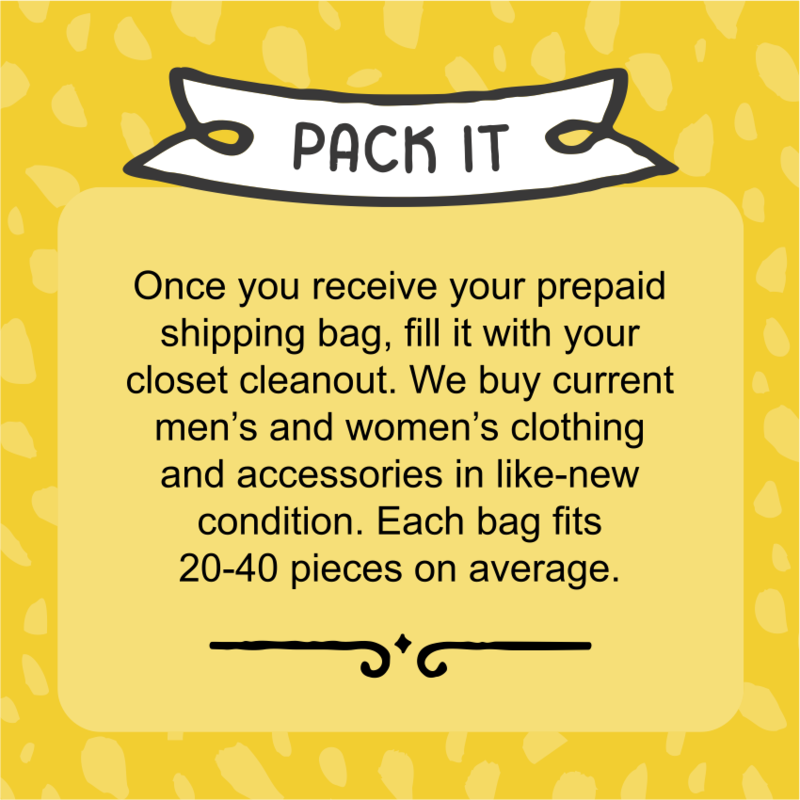 If you do have a Buffalo Exchange near you, we always recommend selling in-store. This is just a sample of the brands we love, so even if it’s not on the list, feel free to send it in! 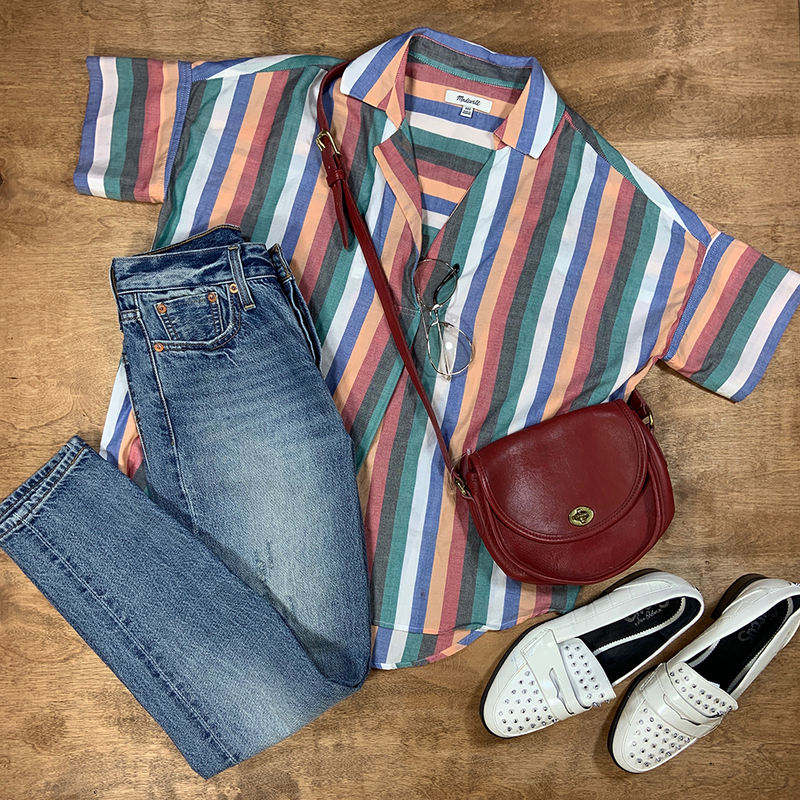 We buy men’s and women’s clothing and accessories in excellent condition, including designer items, popular mall brands, athletic wear, current trends, everyday staples, vintage, and one-of-a-kind pieces. 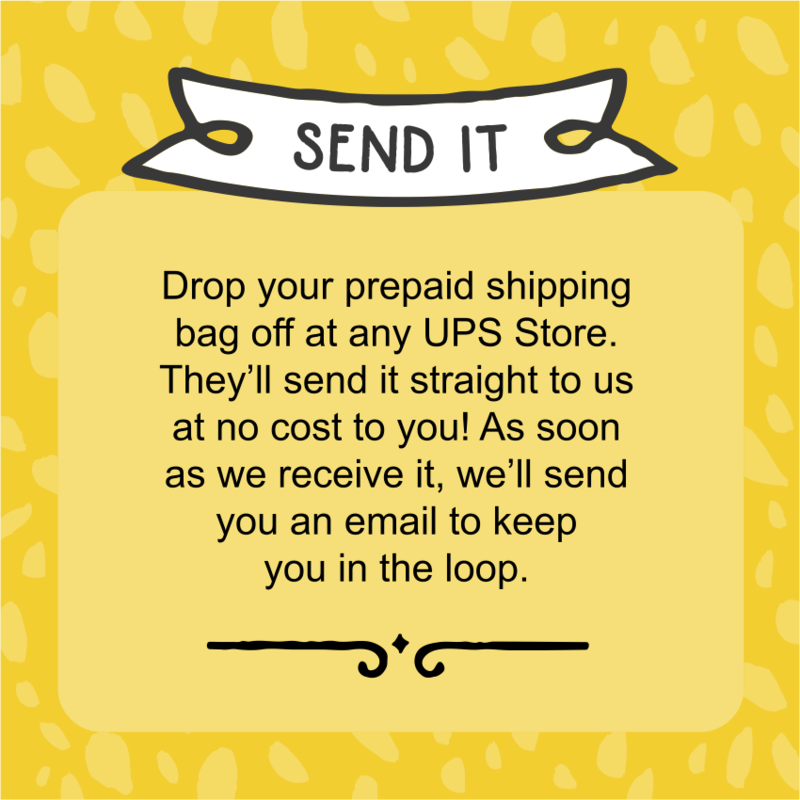 Before you send your items in, take a minute to check them for unintentional holes, spots, or fabric wear. This can make your selling experience more successful! Children’s clothing and accessories, swimwear, maternity, intimates, sleepwear, counterfeits, fur, bridal wear, discount department stores such as Walmart, Kmart, Kohl’s, Sears or JCPenney; and home goods like sheets and towels.